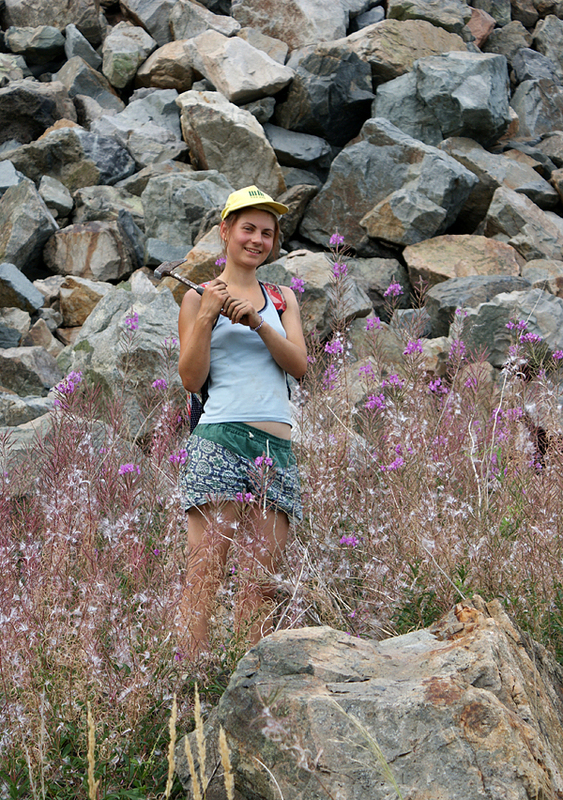 As every year in the summer the group of kids that take part in the geology lessons run by our society together with some older "spirifer kids" set off for a geological trip. Read more about our activity HERE. 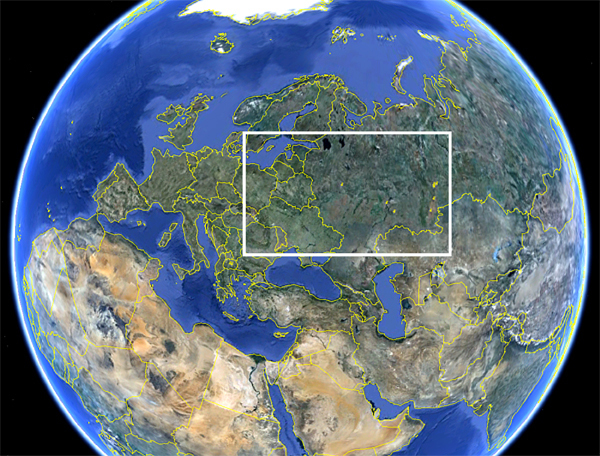 This time our aim was Russia, and more precisely south Ural and the east part of Siberia. We started the journey on August morning from Warsaw with two buses in the direction of Belarus. On our way we passed Minsk, Smolensk, Moscow and Ryazan, and finally after 3 days we got to the first locality we wanted to visit - Samara. We were planning to spend some time in the numerous open-pit sulphur mines that are located in Wodinskoye - a dozen or so kilometers from Samara. 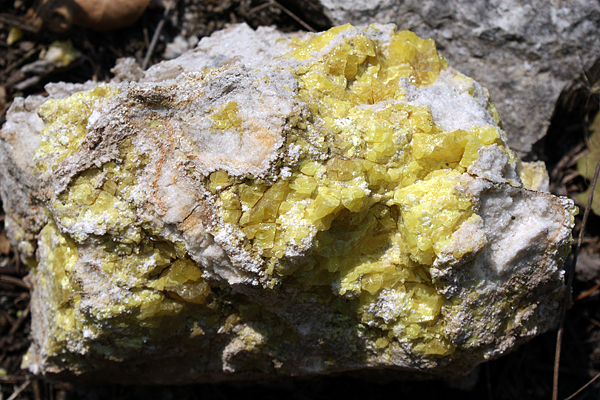 These mines are famous for the high quality specimens of native sulphur, there are known crystals from there reaching up to 40 cm! 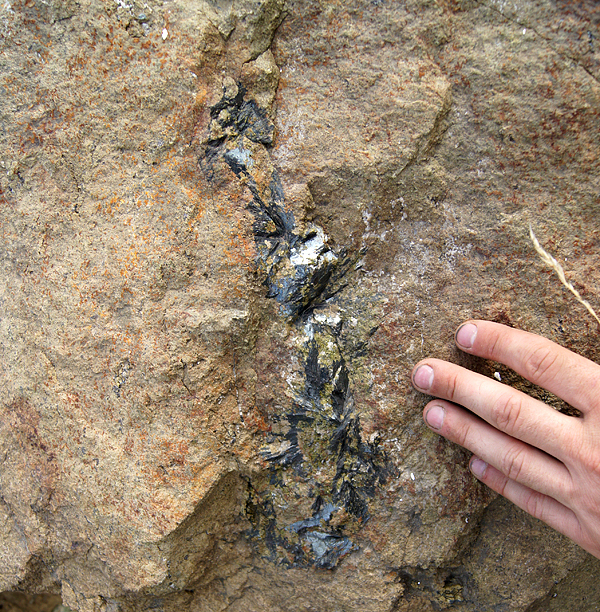 Sulphur occurs together with gypsum, celestine, calcite and crude oil (bitumen) that fills some of the vugs. 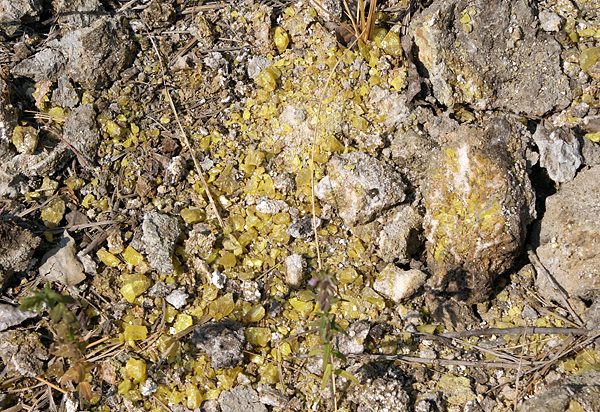 Although most of the mines had been closed for many years and later converted to waste dumps, you can still find there some interesting specimens (mainly sulphur). We didn’t have much luck, but still collected number of specimens. 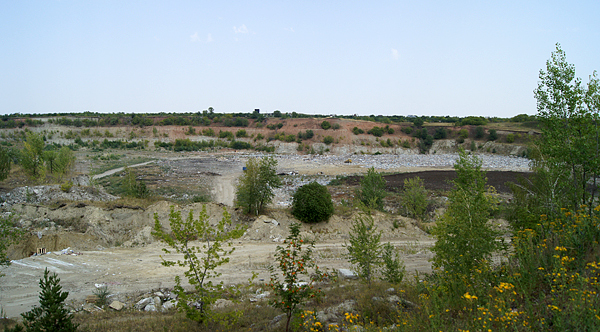 Because of very hot summer this place was very unpleasant to work – stinking dumps of garbage at the bottom of quarries spoiled a little bit the charm of collecting. After 2 days spent in the quarries we continued our journey - our next stop was Miass. 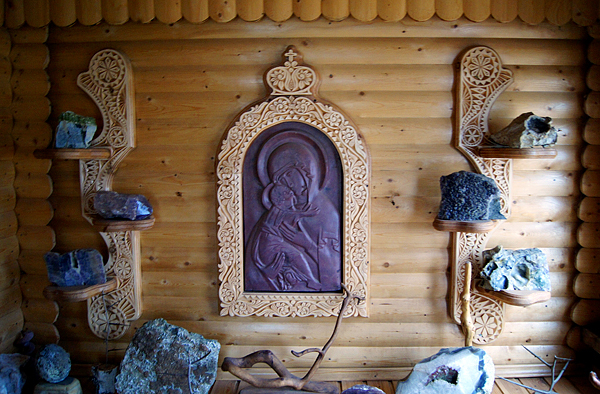 The first thing we visited there was the local geological museum; we could see there specimens from the surrounding quarries and outcrops and from the whole Ural and many classic Russian localities. 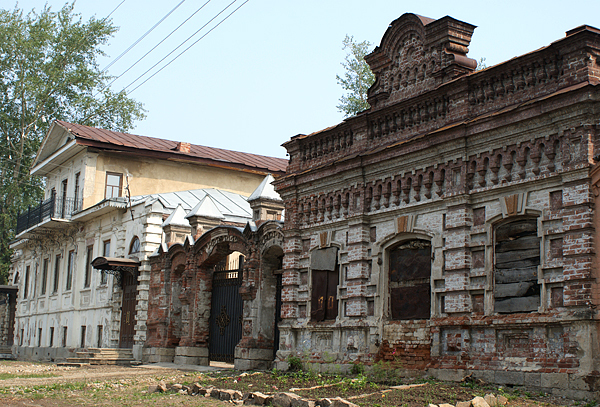 After the visit in museum we spent a few hours sightseeing - many elements of tsarist architecture have remained in the twon till today. 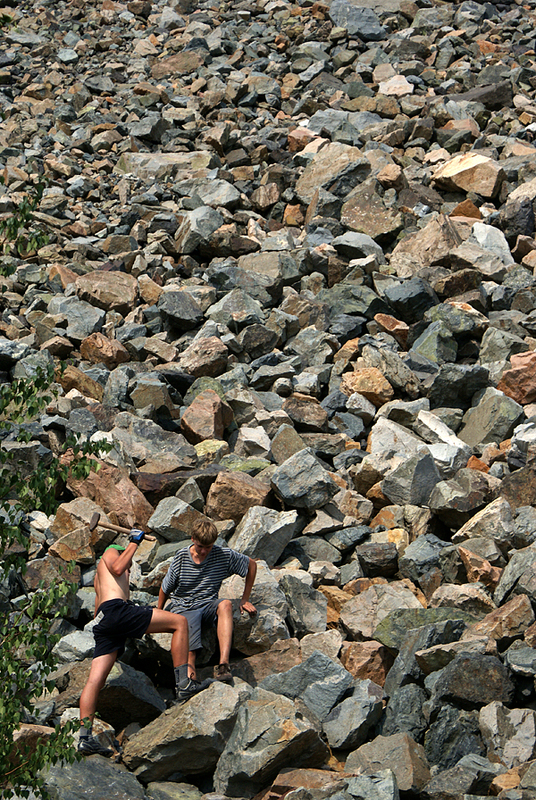 Later we made a research in the neighboring gneiss quarries, we looked for pegmatites that are famous for beautiful zircon crystals. 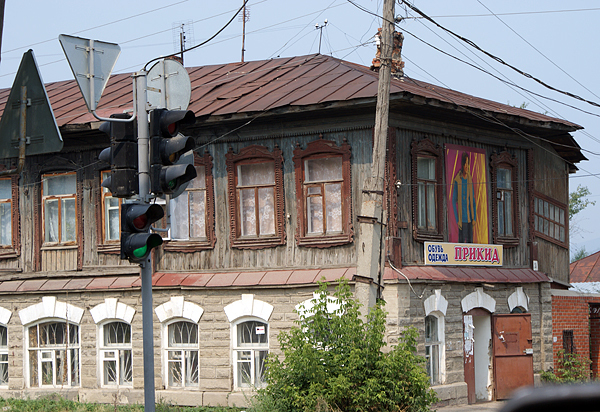 From the region of Miass we moved to Magnitogorsk. 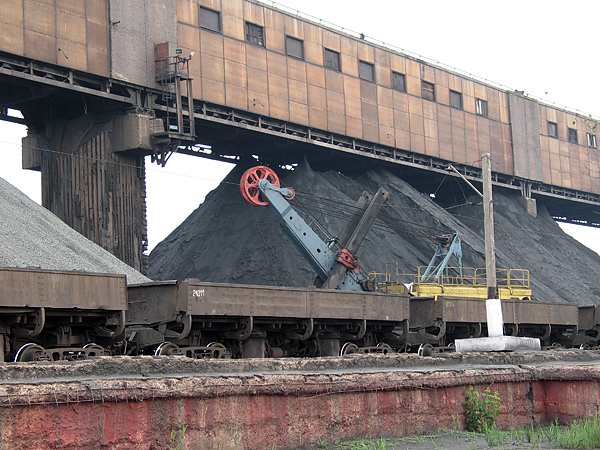 It is one of the biggest towns of South Ural, it is well known as a source of magnetite iron ore and limestone used for cement industry. 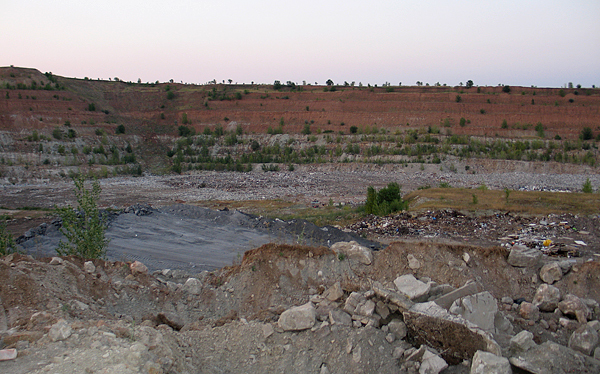 We visited there the giant dumps of Malyi Kuibas mine stretching for a dozen or so kilometers around a huge open-pit. There are nice garnet and epidote crystals known from these dumps but also calcite, magnetite, apatite, hematite and pyrite are very common. We found there number of interesting specimens. 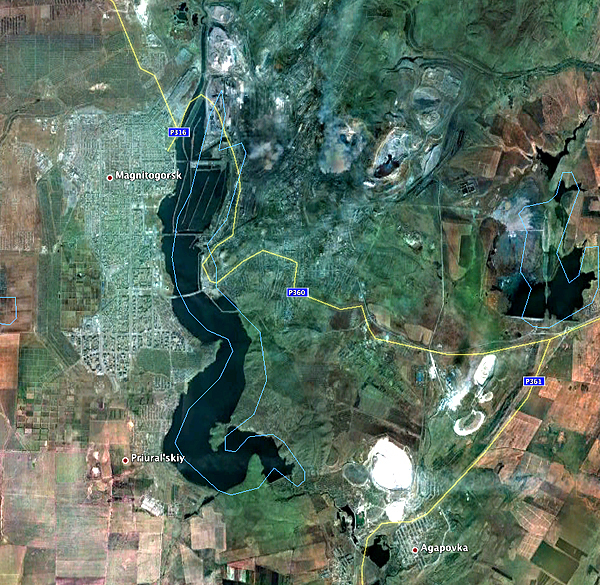 We went afterwards to the other end of the city - to the big Agapovka quarry where the limestones are exploited. 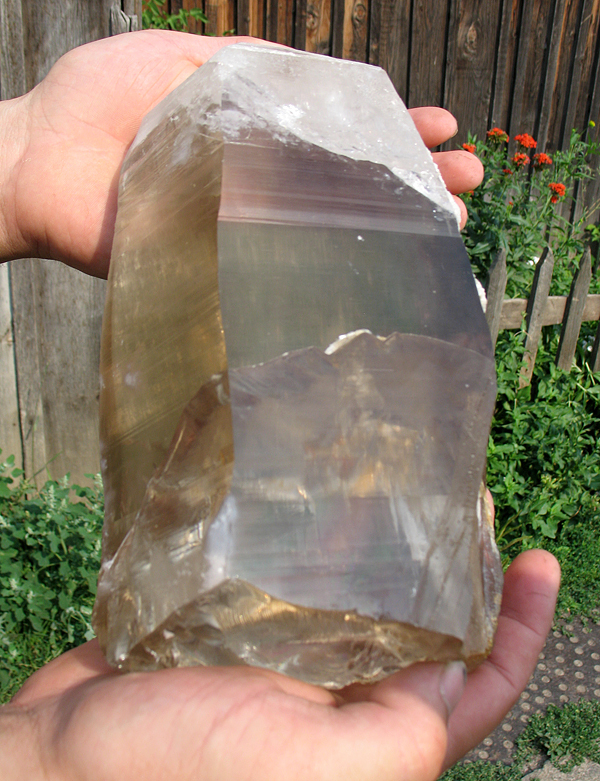 One of the best calcite specimens from Ural were found there. We spent some time on the dumps of Agapovka - unfortunately much less than we originally planed, because of the extremely furious Ural mosquitos that were literally everywhere. 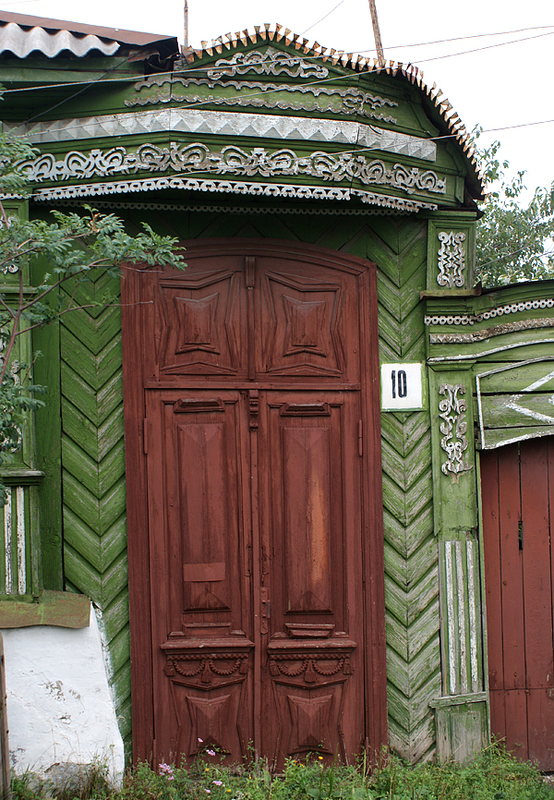 After the lost battle with mosquitos we set off south to Yuzhnyi, just by the borderline with Kazakhstan. 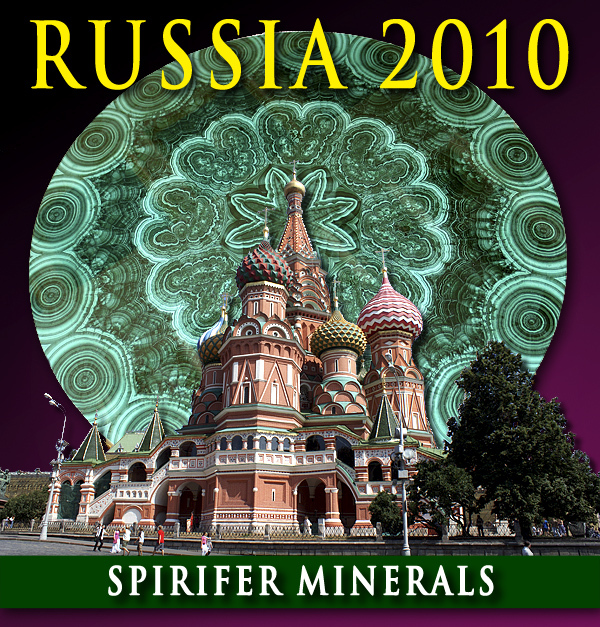 In the time of USSR the whole town was closed, there was a huge open-pit mine for piezoelectric quartz in its vicinity. Today the mine is closed and flooded. 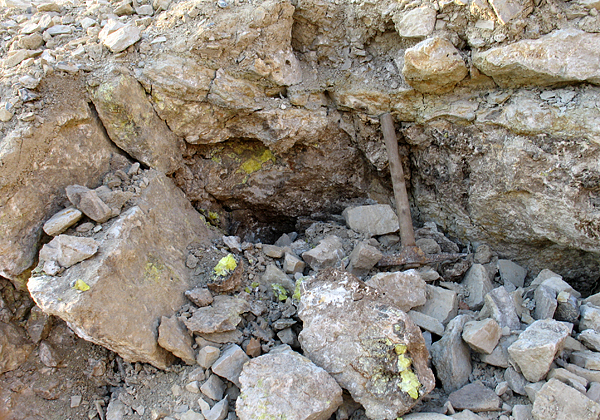 When the mine worked the surplus of extracted quartz was hidden in the dumps as a stock in case the time when it will be impossible to produce the fixed rate of output comes. 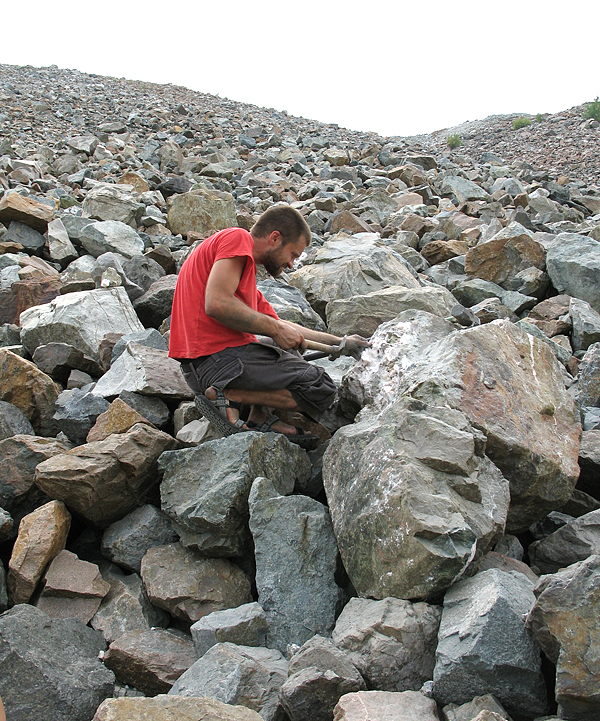 Thanks to that one can still find there a lot of very good quality quartz specimens digging in the enormous dumps. We spent 2 days there with quite satisfying results. 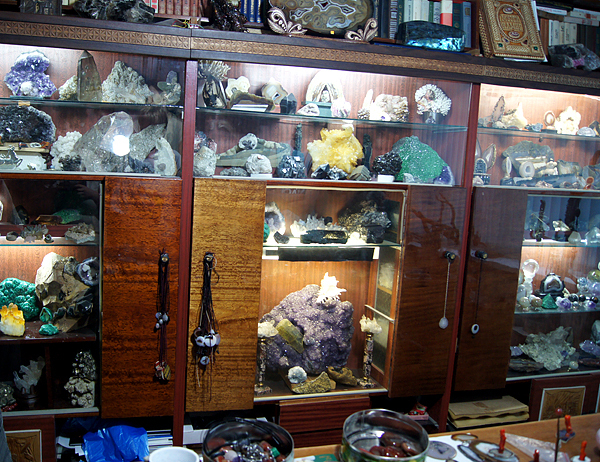 We visited also a few local dealers that look for the quartz mainly for gem material. 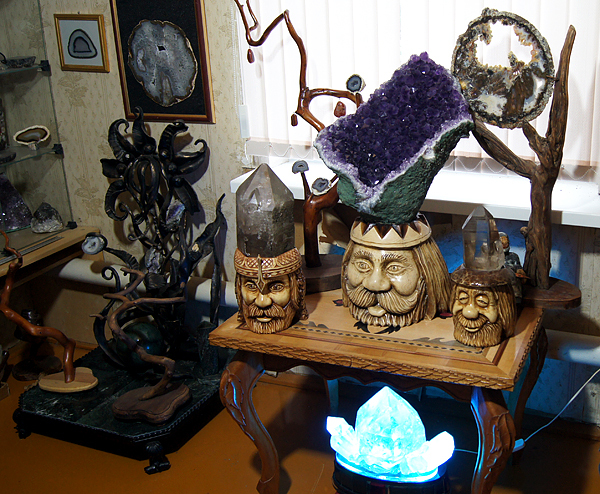 From Yuzhnyi we went to Sljudorudnik visiting a small private mineralogical museum on the way. 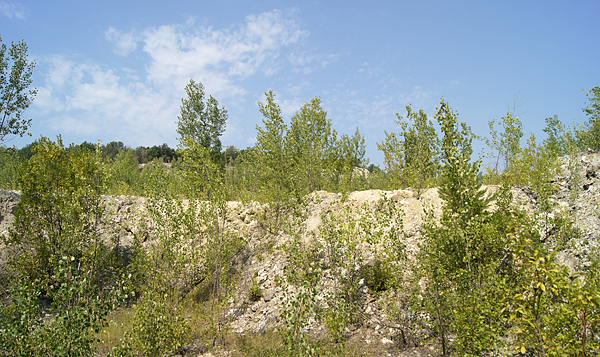 In Sljudorudnik we visited also a few old quarries, where the titanium and rare earth elements ore were mined. 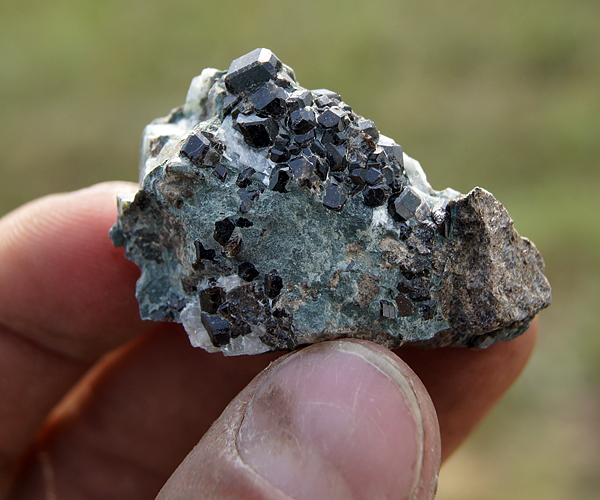 We collected there some actinolites, garnets, rutils and huge plates of black biotite. 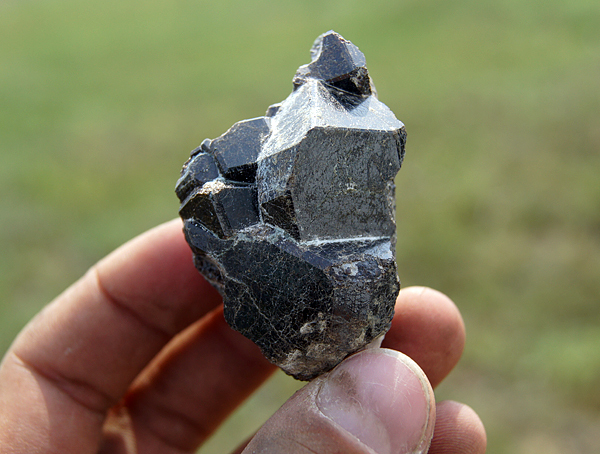 The biggest crystal of biotite we found in one of the pegmatites was 3 m! After a few days of intensive digging we needed some time to relax so we spent the next few days by the Ural lakes, from there we drove to Yekaterinburg. We visited there almost all existing geological and mineralogical museums and later spent some time some sightseeing. From there we set off for Siberia. Our first stop was Asbest town, where huge open-pit mine is located, and where, as the name suggests, the asbestos is mined. The mine is 8 km long, 4 km wide and over 500 m deep! 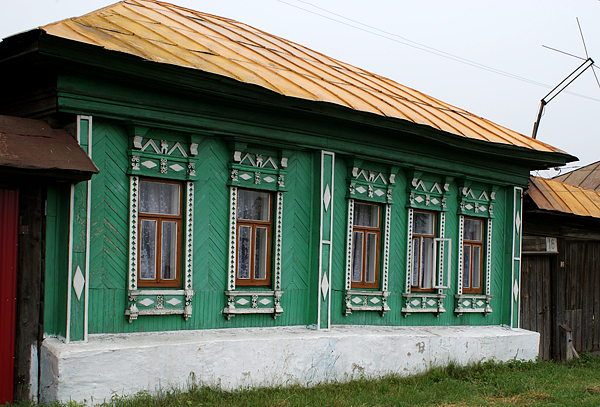 After that went to Malyshevo - the legendary emerald locality. 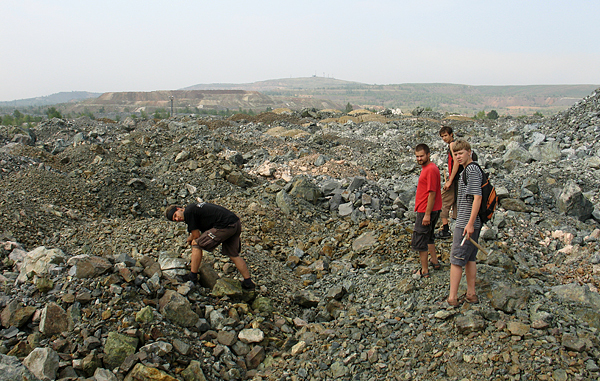 We spent a few days there digging in the dumps, we found some specimens of beryl, molibdenite and very small emeralds. 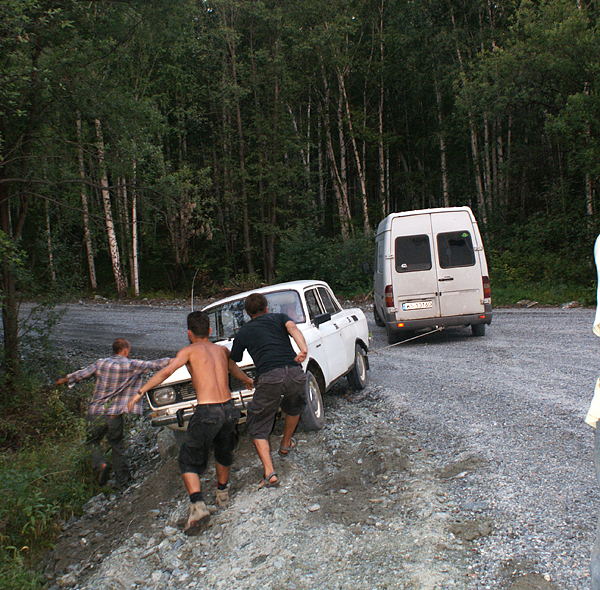 After a short time in Siberia we drove to Bieriezoskoye. The town is famous for gold mines. 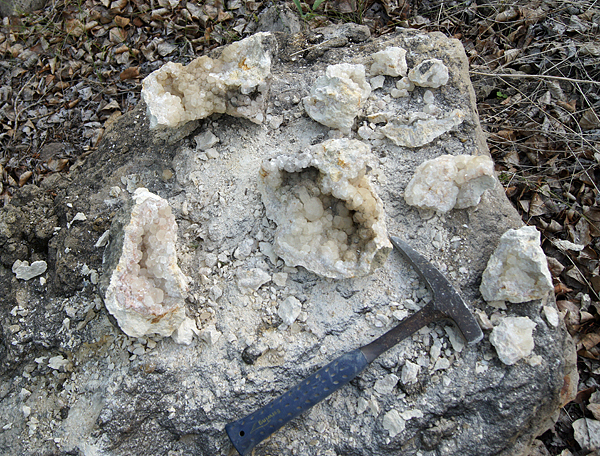 Crocoites and pyrites have been found in this area for long time. Unfortunately despite of the willingness of mine geologists and its management we could not go down into the mine because it has been restructured and just when we were there the renovation of shaft and lift was in progress. We could only see the mine from outside. At the end we drove to the town of Shabry, where quarries of talc are located. 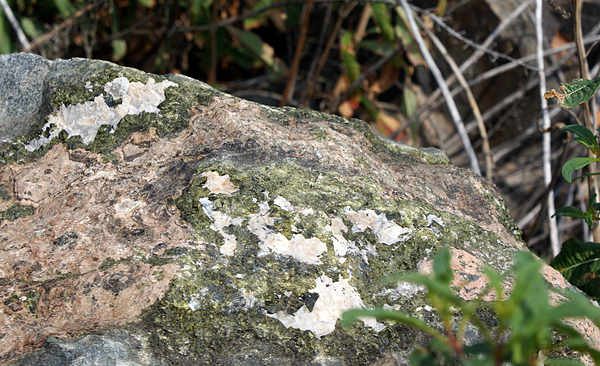 The specimens that occur there are serpentinites with veins of crystallized talc. It is mined for the cosmetic industry. 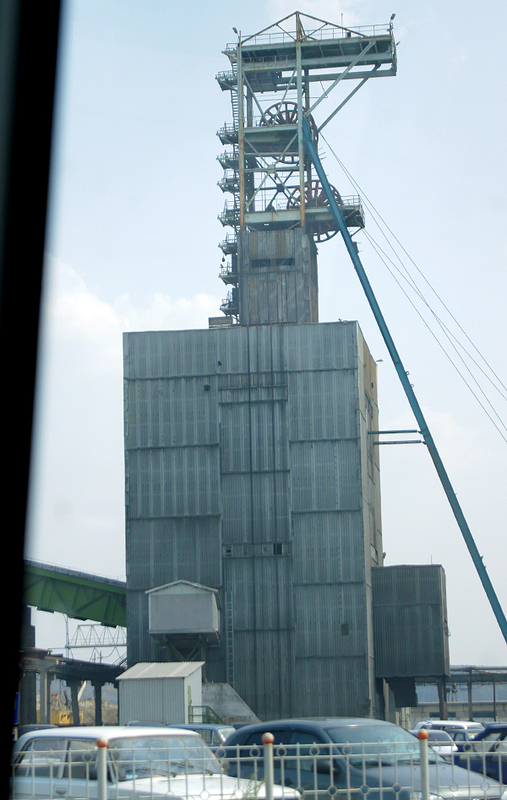 Talc is cut with special saws into straight blocks, because of that the quarries are shaped like "stairs". 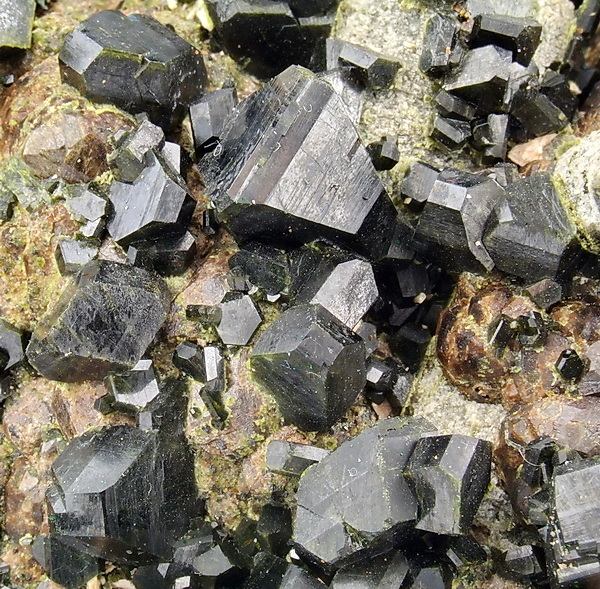 Apart from nice talc specimens one can find there also great specimens of crystalline hematite that often occur with calcite. After the whole day of digging the time to go back to Poland had come. 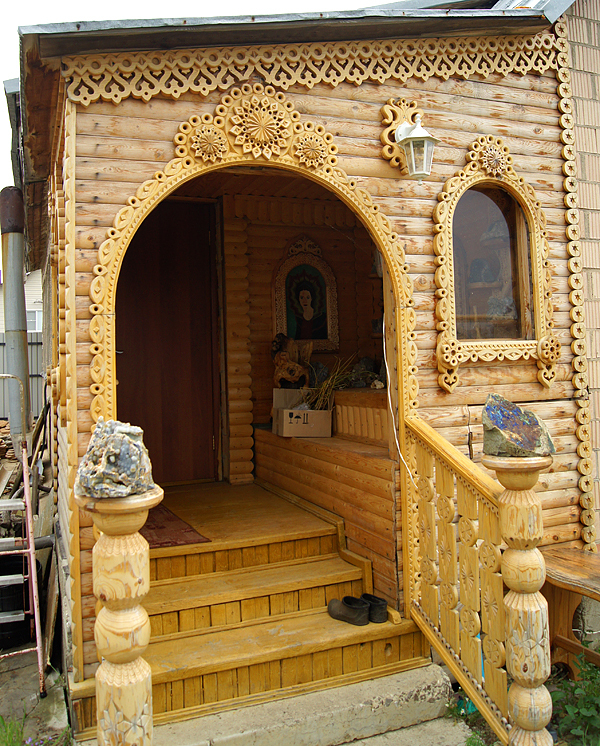 From Shabry we drove to Ulyanovsk, later to Tatarstan and Kazan from where we were planning to get to Moscow. 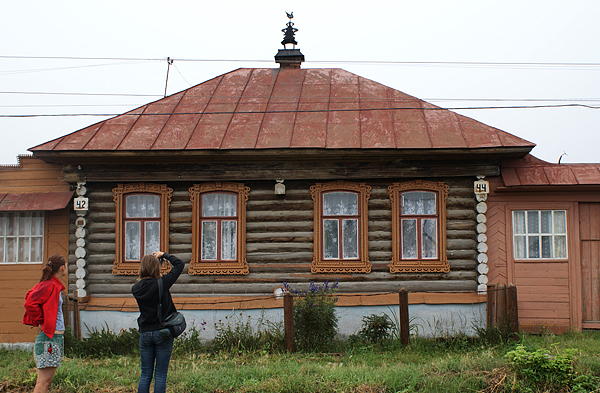 On the way we decided to stop in Ulyanovsk on the banks of Volga River. 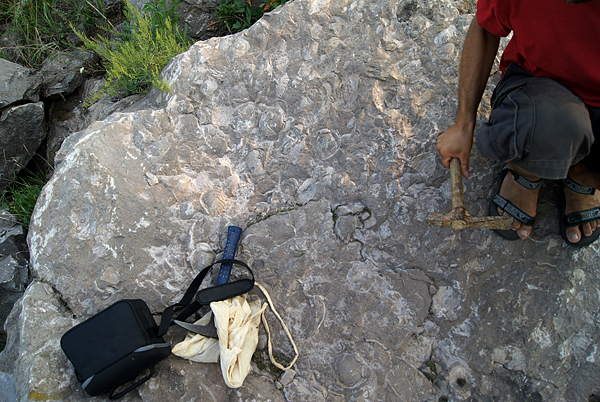 The Cretaceous sediments with incredibly well preserved fossils (mainly ammonites and vertebrates) are exposed there. We collected the specimens there for the whole evening and night and it was an amazing experience. 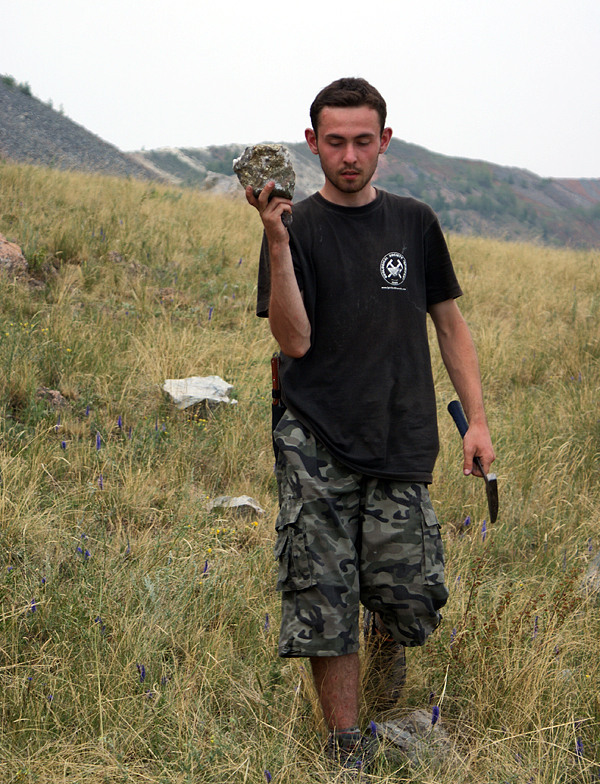 We even found a scull of marine reptile and several ammonites half a meter big! But remember - to collect there one has to get a special permission because it is all located within the nature reserve. We visited also a local museum with prepared fossils from the region. Going back home we stopped for a while in Moscow for sightseeing and we left part of our team who were going further to Kola Peninsula on the train station. The trip to Warsaw was really long and exhausting, but we had a bus full of specimens so we were very happy. Area of our trip. Google Earth. First part of the trip - from Warsaw to Oka River. Google Earth. 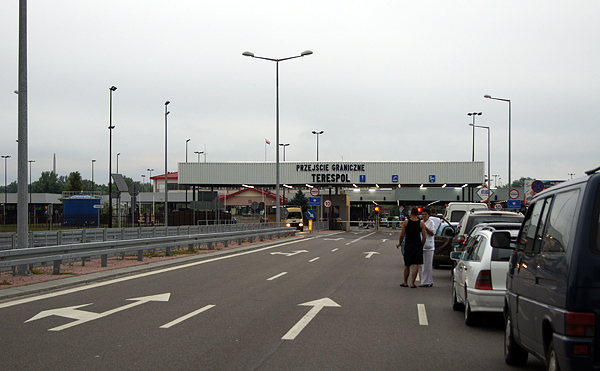 Waiting at the border between Poland and Belarus. A. Korzekwa photo. 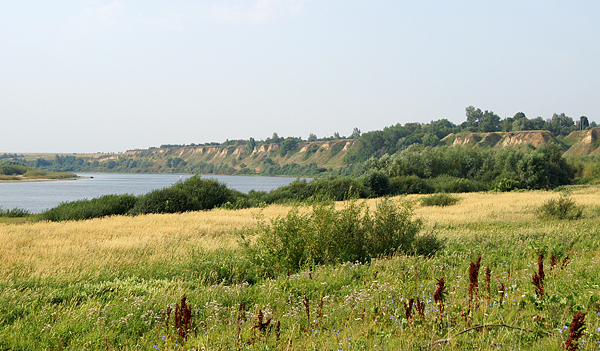 Oka river - the first place we stopped to have a rest after about 2000 km drive. A. Korzekwa photo. 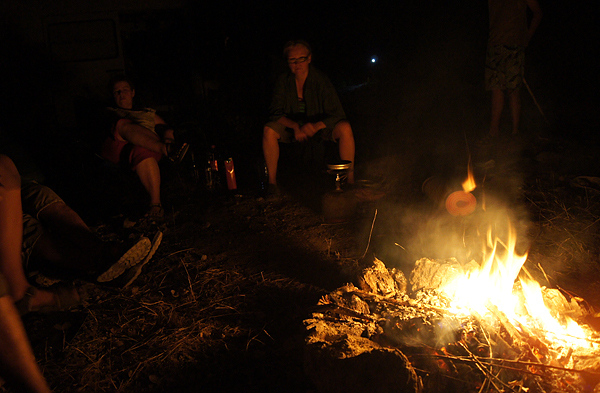 Camping by the Oka River. A. Korzekwa photo. 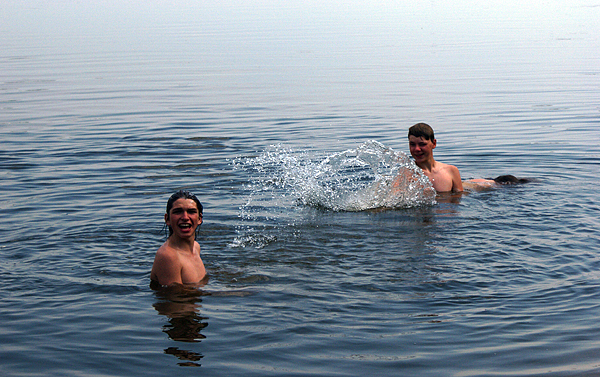 It was an extremely hot summer so we used every opportunity we had to get into water. M. Wikiera photo. Are you sure that mud enhances the skin? M. Wikiera photo. Fun in the water. M. Wikiera photo. Next step of the trip was Samara. Google Earth. Camping somewhere on our way. A. Korzekwa photo. Smoked fish store near Samara. M. Wikiera photo. 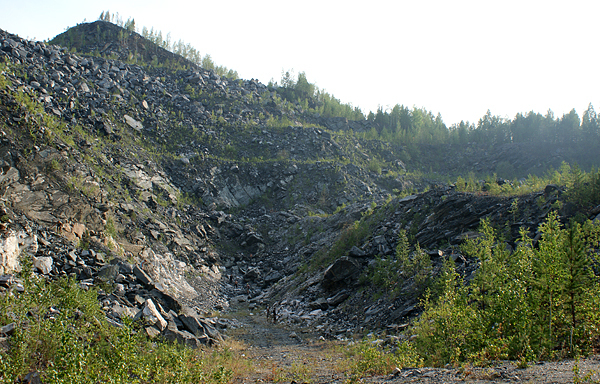 Area of Samara (Vodinskoye) with several quarries famous for sulphur crystals. 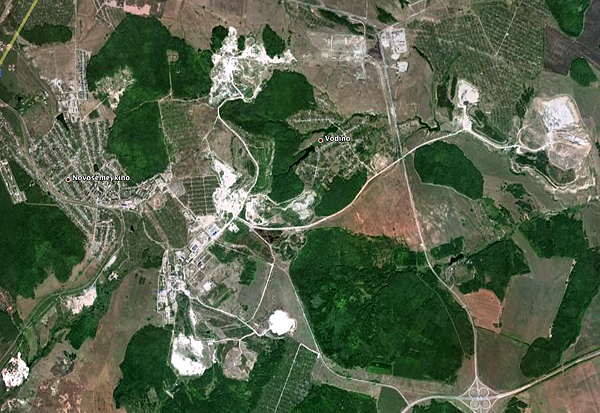 Google Earth..
All quarries are abandoned and partly overgrown. A. Korzekwa photo. 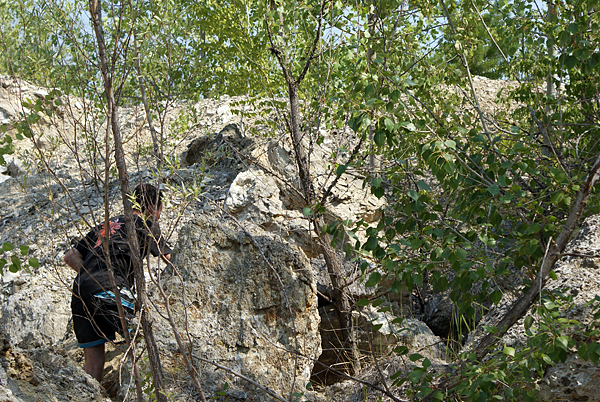 Overgrown outcrop. A. Korzekwa photo. Digging between trees. M. Wikiera photo. Sulphur has to be somehwere here! M. Wikiera photo. 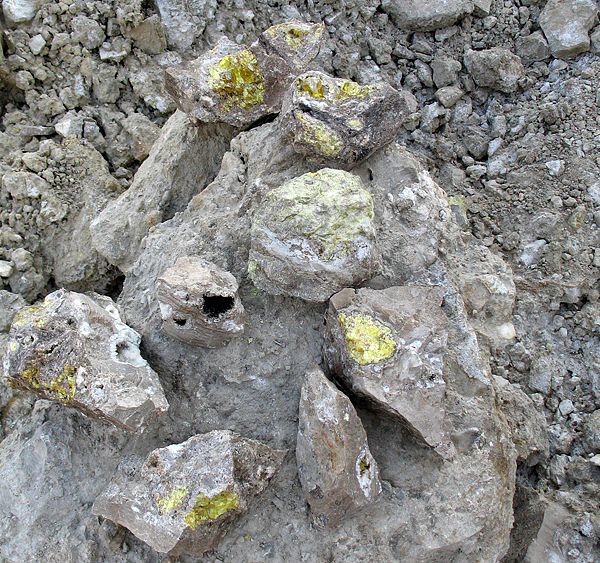 Eroded, broken into small fragments crystalline sulphur. A. Korzekwa photo. Chips of sulphur. M. Wikiera photo. Short break in digging for some food... M. Wikiera photo. ... and rest. M. Wikiera photo. Another quarry. K. Dembicz photo. 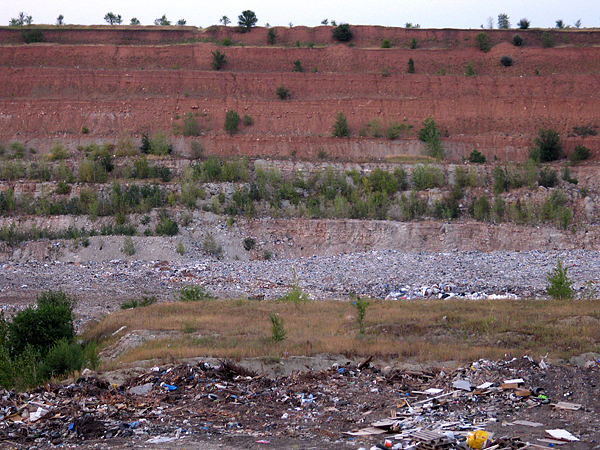 Note the waste covering almost the whole bottom of the quarry - imagine smell in a hot day... K. Dembicz photo. One of the few places with fresh rock. P. Ducki photo. Digging for sulphur. K. Dembicz photo. 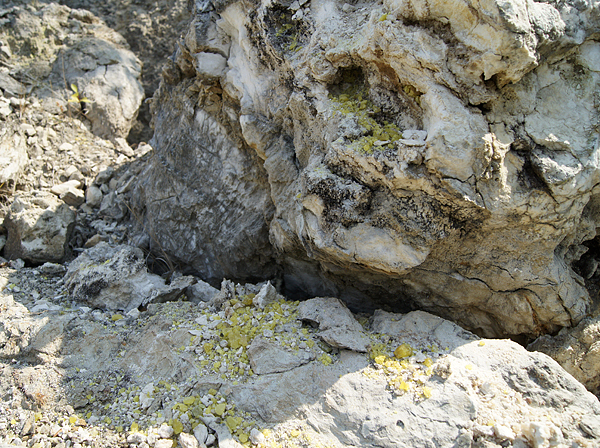 Sulphur in situ. K. Dembicz photo. Small pockets with sulphur and bitumen. K. Dembicz photo. 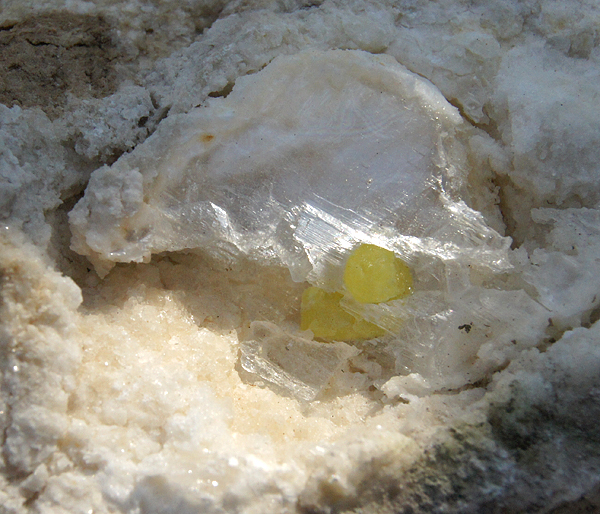 Sulphur crystal in gypsum. A. Korzekwa photo. Bonfire at the evening. A. Korzekwa photo. Next stop on our way - Miass Town. Google Earth. 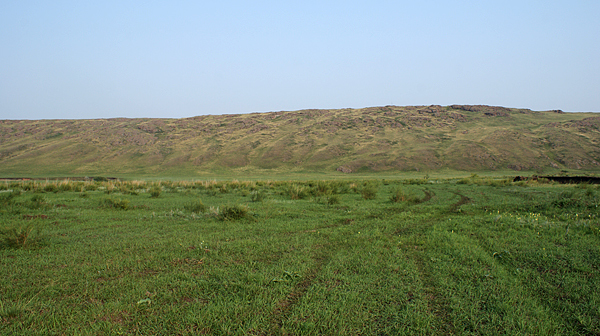 Big part of Urals in this area looks like this... No real mountains. A. Korzekwa photo. 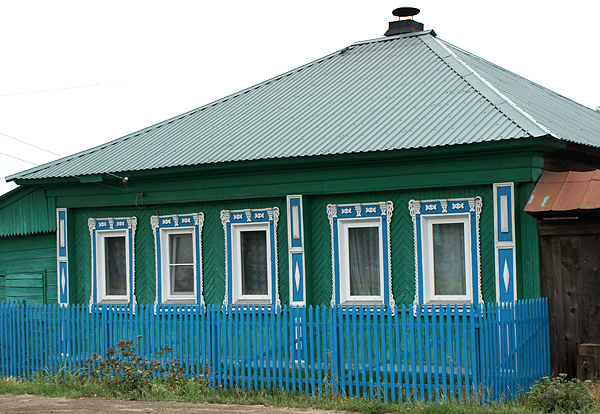 Old traditional house. A. Korzekwa photo. Shoe store in Miass. M. Wikiera photo. 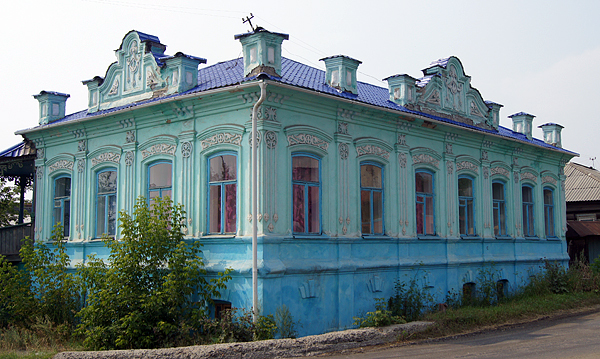 Another old building. M. Wikiera photo. 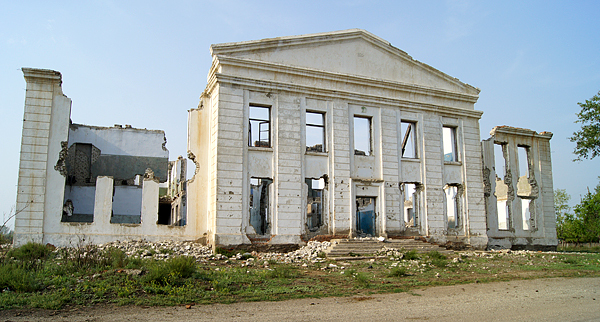 Some parts of town look like ruins. M. Wikiera photo. Funny door. M. Wikiera photo. 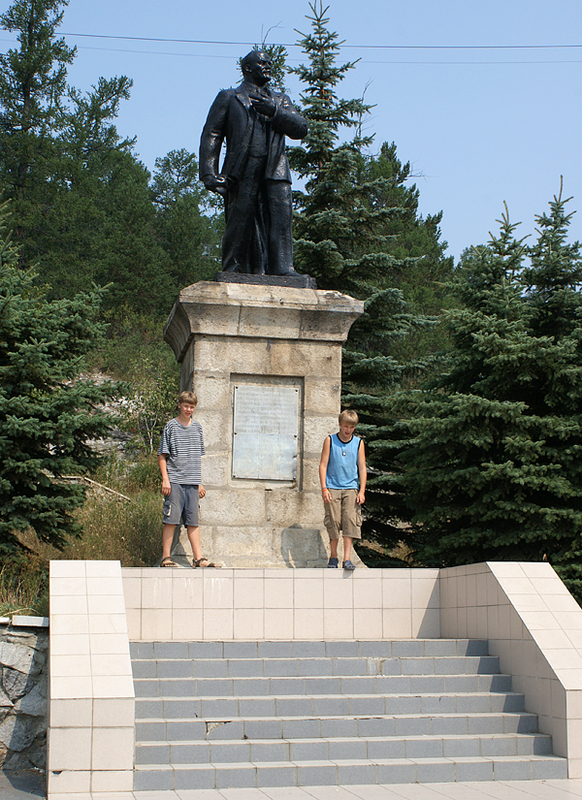 Monument of Lenin - they are still everywhere in Russia. M. Wikiera photo. 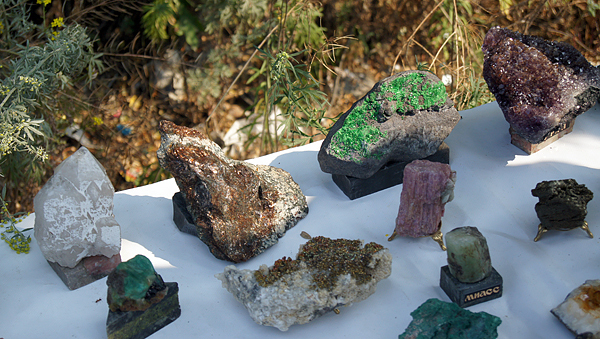 Mini mineral show in front of the Museum. M. Wikiera photo. 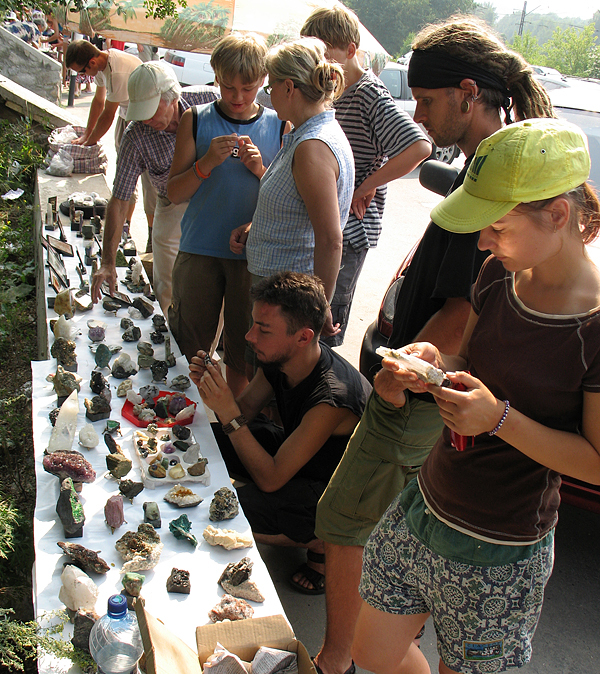 Mini mineral show in front of the Museum. A. Korzekwa photo. 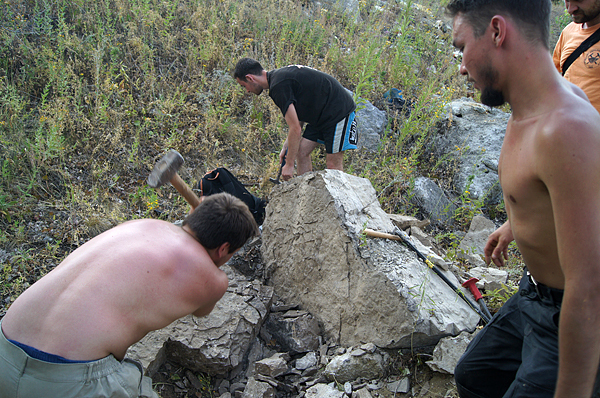 Looking for pegmatites in an old quarry. A. Korzekwa photo. 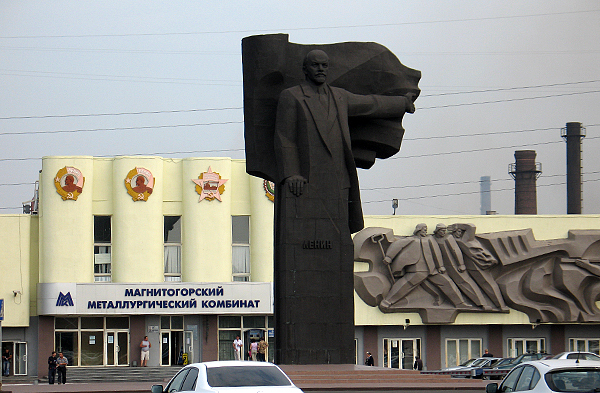 Next stop was - Magnitogorsk. Google Earth. 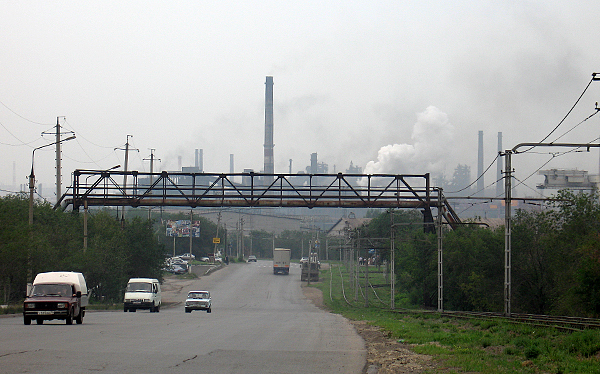 Magnitogorsk is a famous industrial-mining town. Note Agapovaka quarry on the south and Malyi Kuibas quarry on the North. Google Earth. 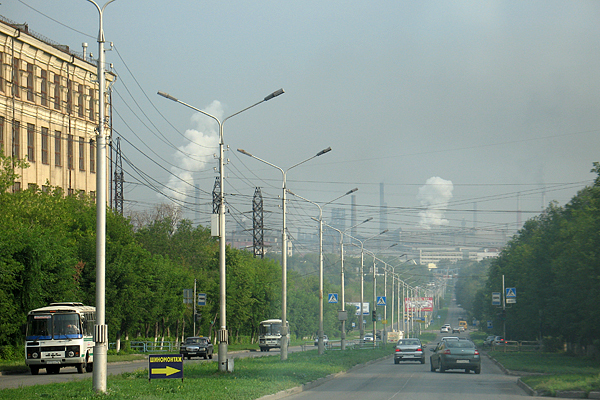 Magnitogorsk is definitely not the world`s most beautiful town... K. Dembicz photo. Industrial view. K. Dembicz photo. 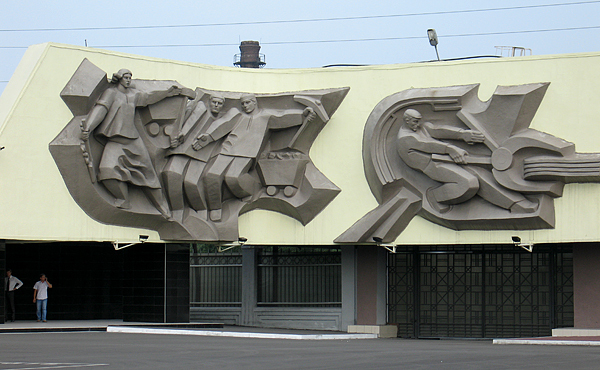 And of course Lenin in fron of the ironworks. K. Dembicz photo. 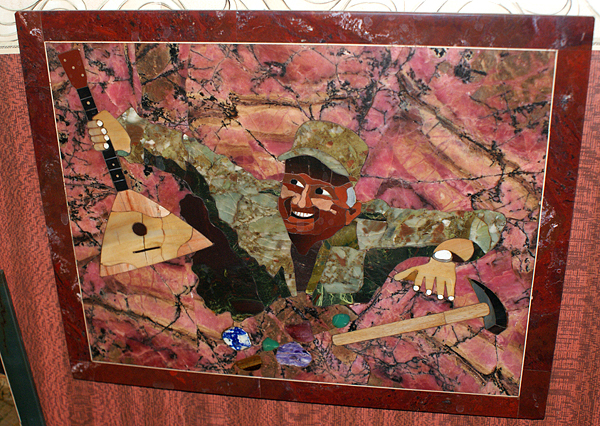 Socialist realism art showing the miners. K. Dembicz photo. Industry everywhere. K. Dembicz photo. 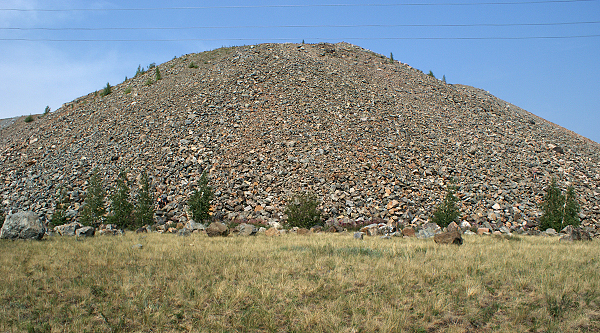 Giant dumps of the Malyi Kuibas iron mine. K. Dembicz photo. Closer view on the dumps - note the tracks on the top. K. Dembicz photo. The fun has begun - collecting on huge dump. M. Wikiera photo. Collecting on dumps. P. Ducki photo. Collecting in flowers. M. Wikiera photo. 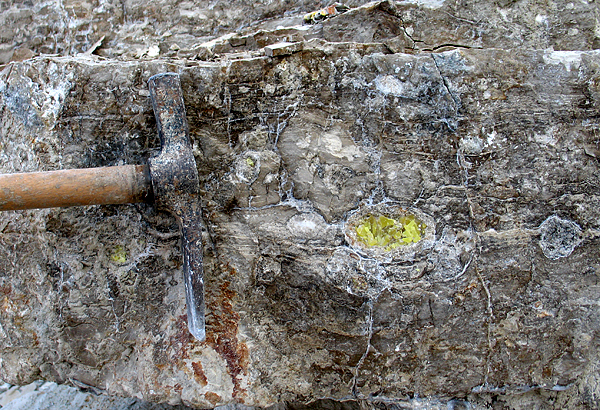 Skarn mineralization. A. Korzekwa photo. 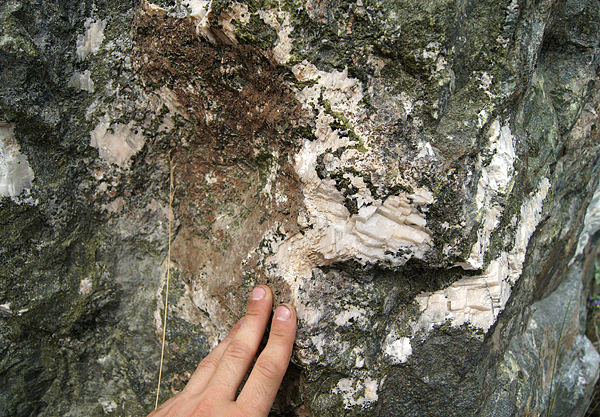 Big block with calcite vein... P. Ducki photo. 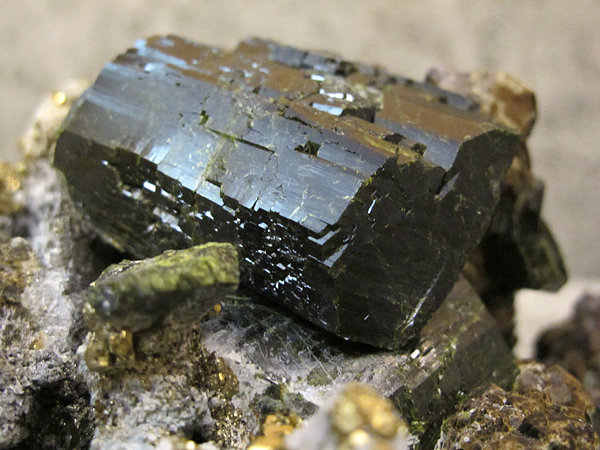 ... with pyrite crystals. P. Ducki photo. 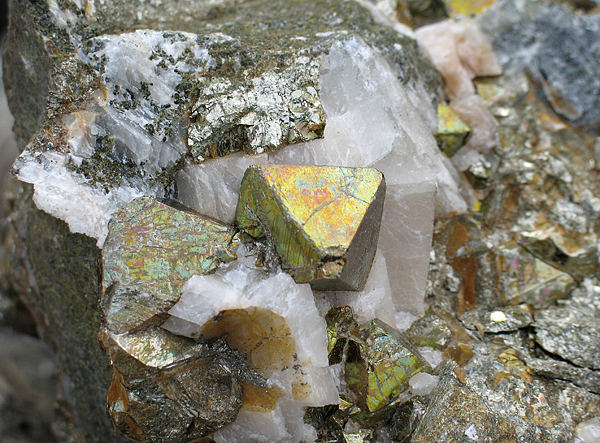 Pyrite octahedrons frozen in calcite. P. Ducki photo. Freshly collected garnets. A. Korzekwa photo. 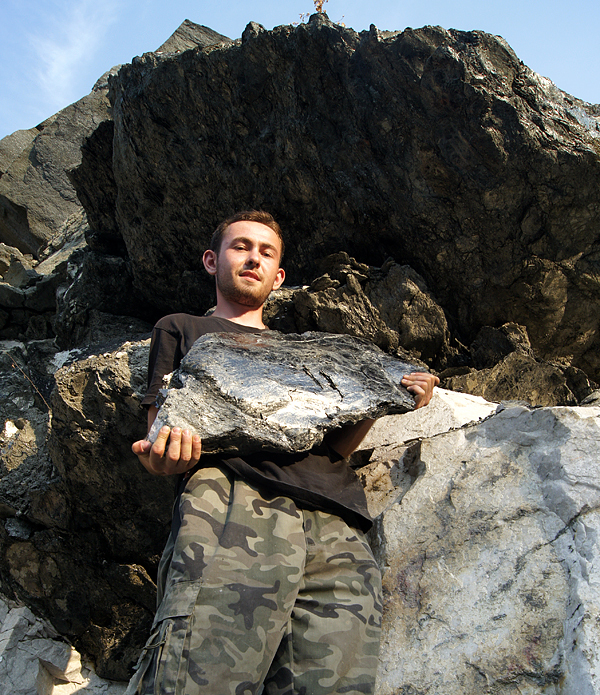 Big epidote crystal. K. Dembicz photo. 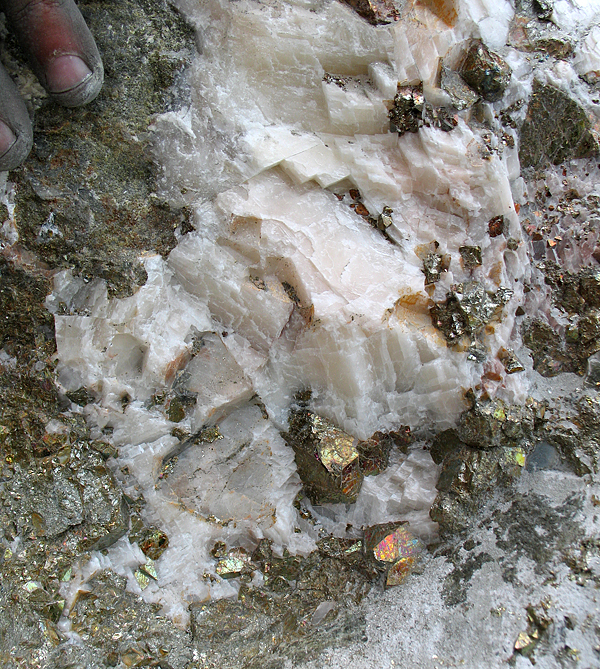 Specimen with epidote and garnet cryatsls we found. G. Bijak photo. Colse-up of the specimen from above. Crystals up to 2 cm. G. Bijak photo. 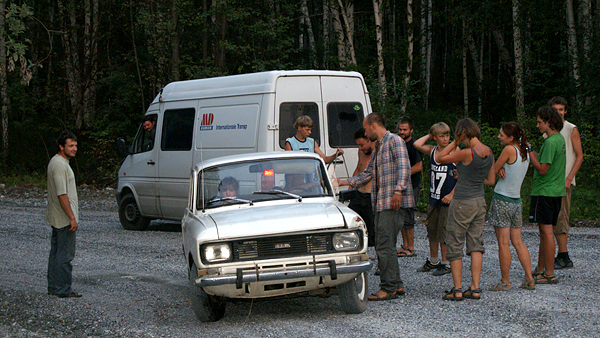 Andrzej [author of this report] returning to the camp after collecting day. M. Wikiera photo. Watermelon for dinner :-) M. Wikiera photo. 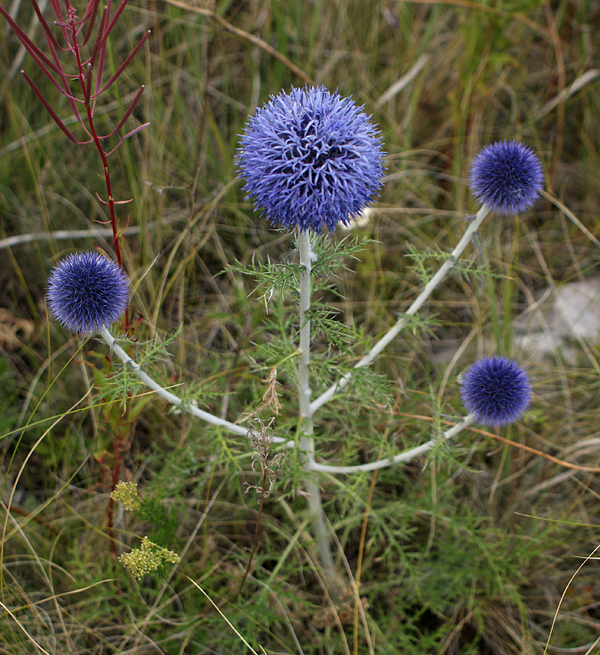 Flower in the quarry. M. Wikiera photo. View to the hill built by limestones. M. Wikiera photo. 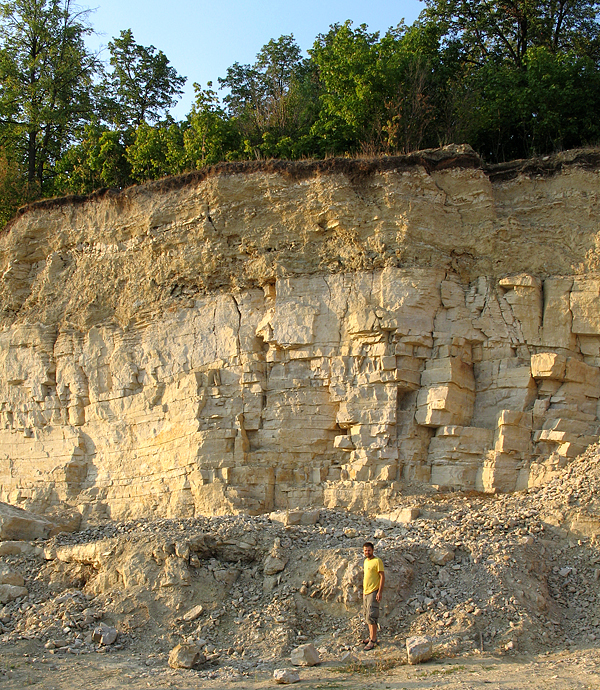 Dumps of Agapovka limestone quarry - famous for calcite. K. Dembicz photo. 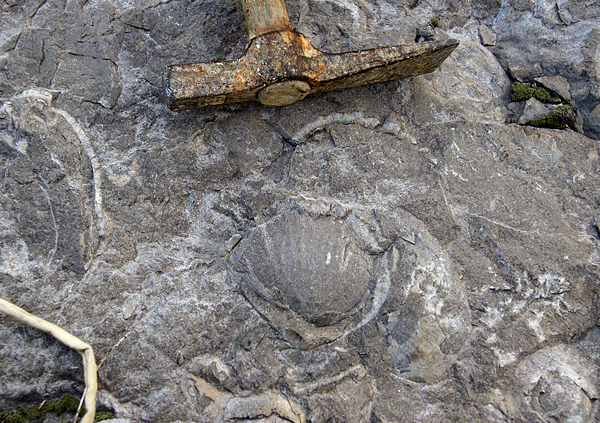 Fossiliferous limestone in Agapovka. A. Korzekwa photo. 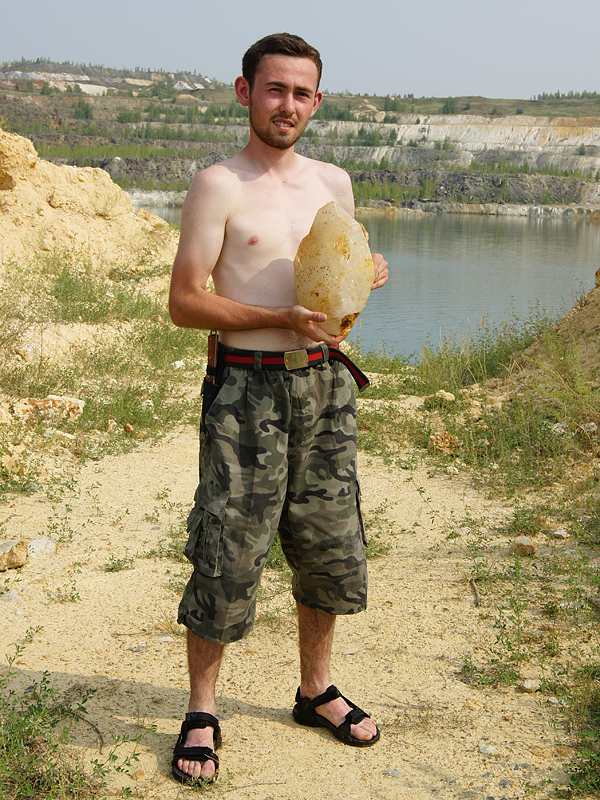 Calcite vugs in Agapovka quarry. A. Korzekwa photo. 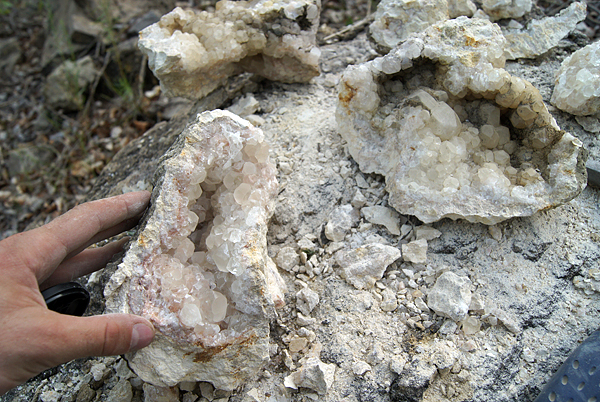 Calcite vugs. A. Korzekwa photo. 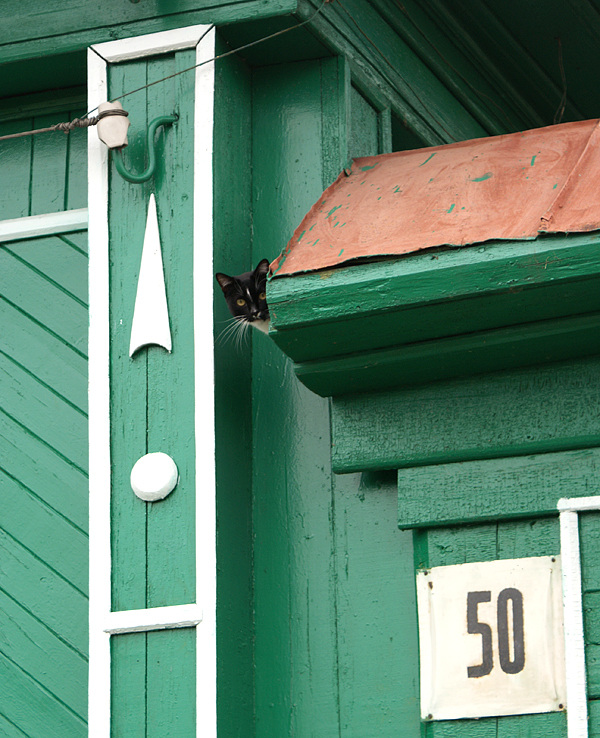 Next stop was in Yuzhny. Google Earth. 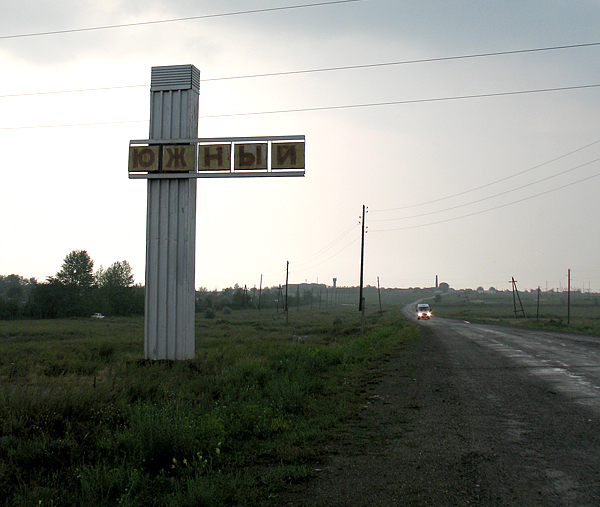 Sign with Yuzhny name in Cyrillic script at the entrance to the town. K. Dembicz photo. Old building of quarry headquater. A. Korzekwa photo. 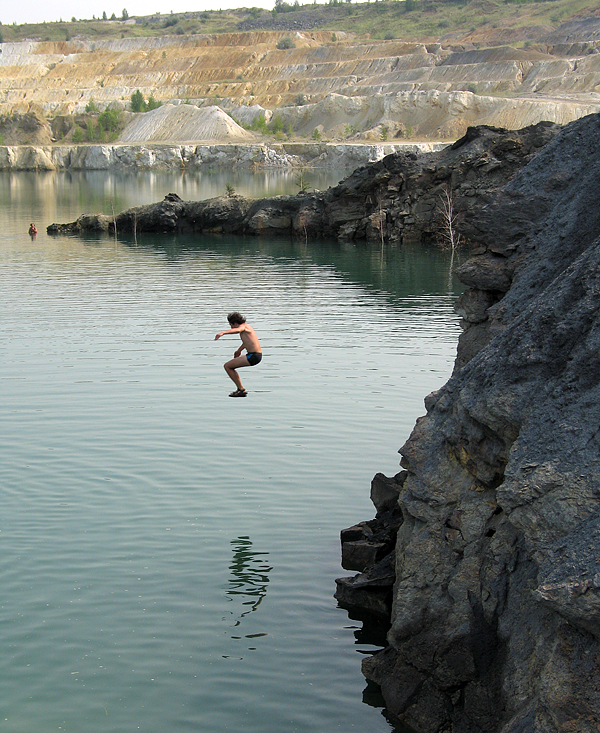 Old quarry - partly flooded - in Yuzhny - famous for quartz crystals. M. Wikiera photo. 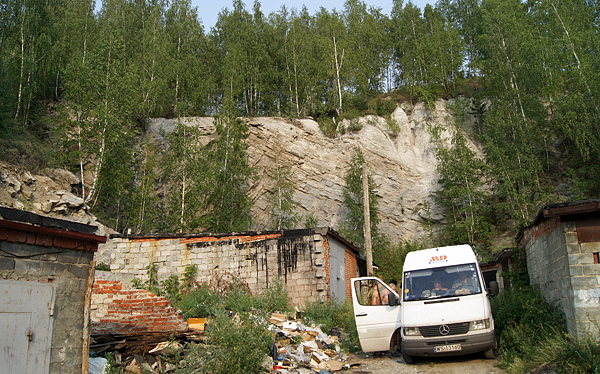 Old quarry in Yuzhny. A. Korzekwa photo. 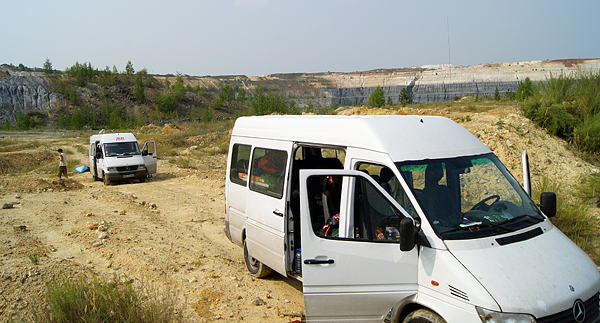 Our mini-buses in the quarry. A. Korzekwa photo. 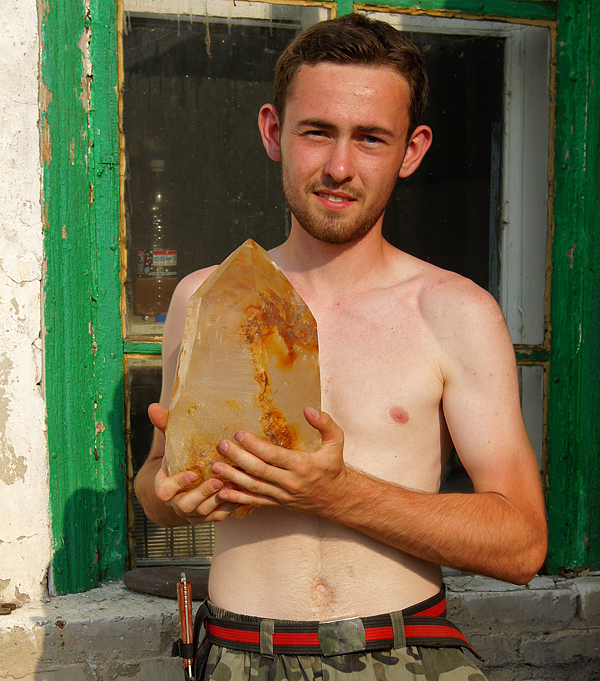 Andrzej with a fragment of big quartz crystal. M. Wikiera photo. Water in hot day... K. Dembicz photo. 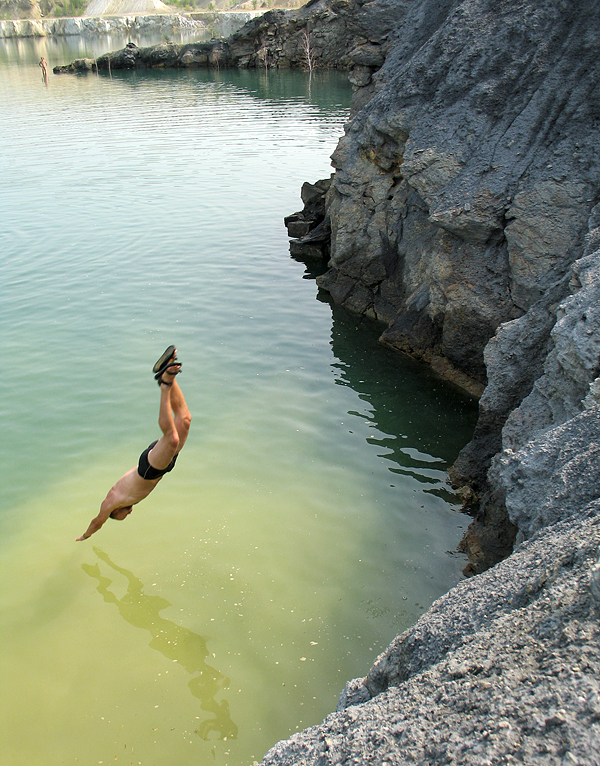 ... make choice difficoult - collecting or swimming? K. Dembicz photo. Soon there was number of followers. K. Dembicz photo. 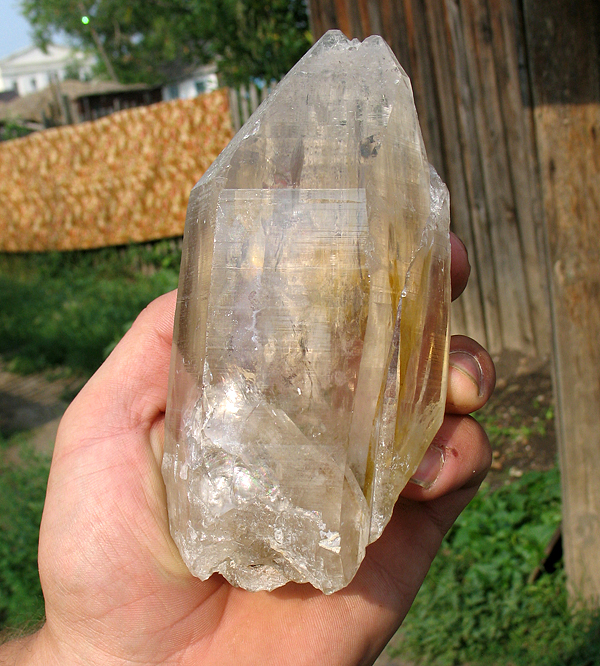 Clean quartz crystal from Yuzhny. K. Dembicz photo. Clean quartz crystal. K. Dembicz photo. 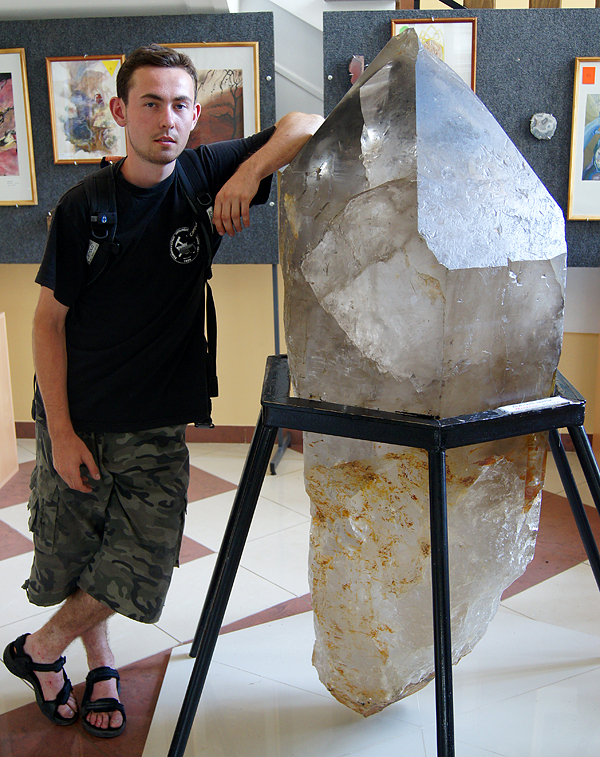 Me with big quartz owned by one of the old miners. A. Leszczuk photo. 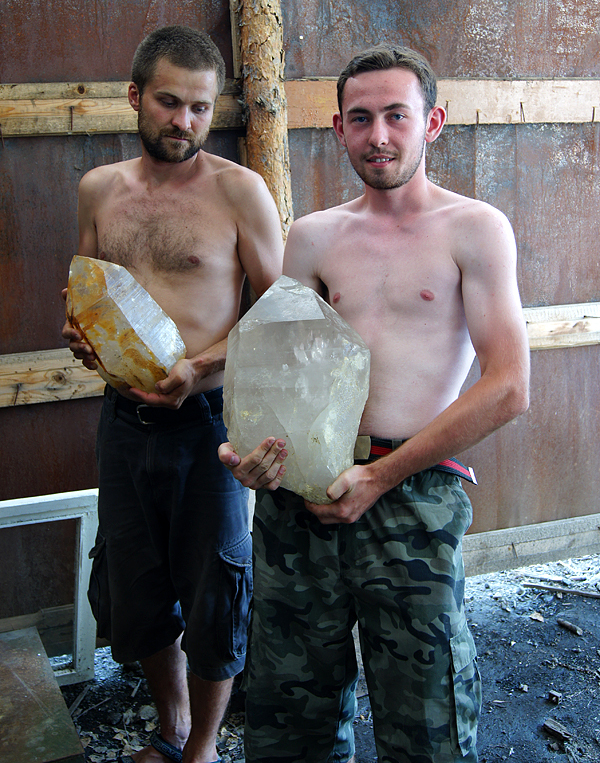 Krzysztof and me with big quartz crystals. A. Leszczuk photo. 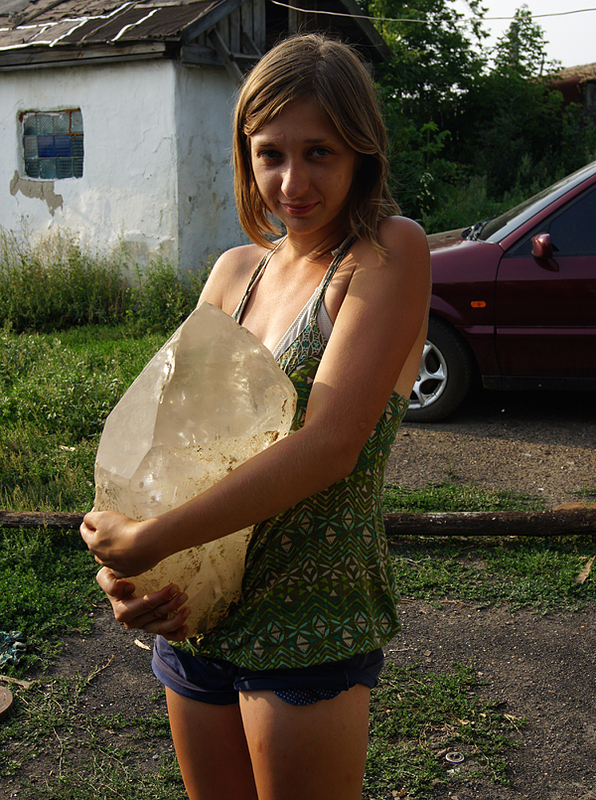 Agata hugging quartz. A. Korzekwa photo. To heavy? A. Korzekwa photo. And really huge one at exhibition in Yekaterinburg museum. P. Ducki photo. 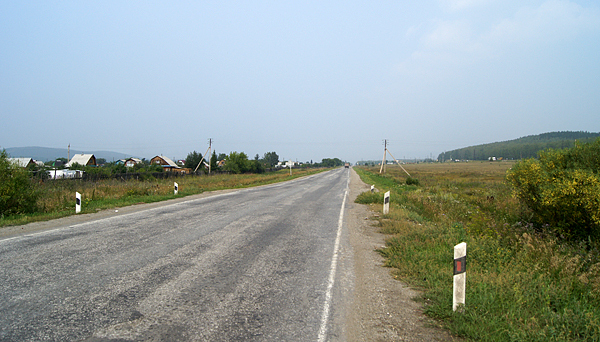 From Yuzhny we drove to Slyudorudnik. Google Earth. 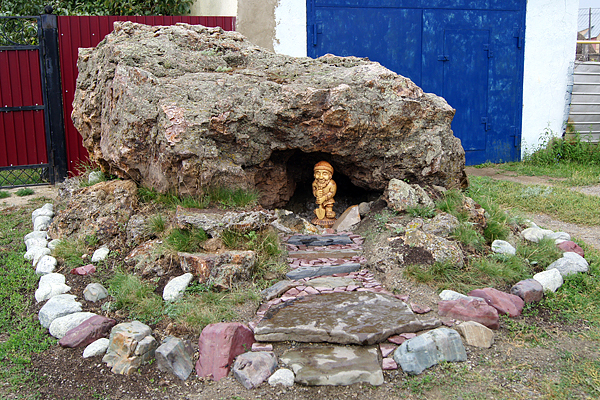 We visited there a local, very special museum of stones. A. Korzekwa photo. Entrance to the museum. A. Korzekwa photo. 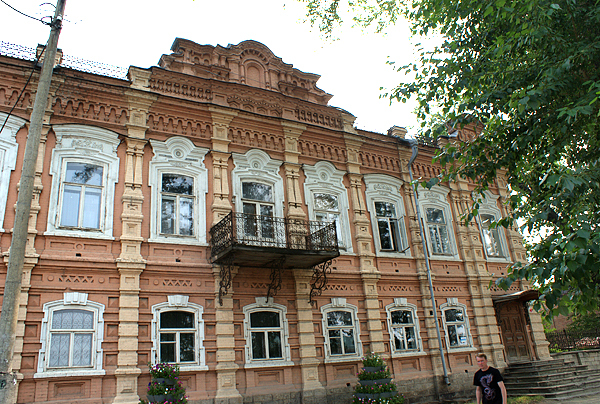 Part of the museum. A. Korzekwa photo. 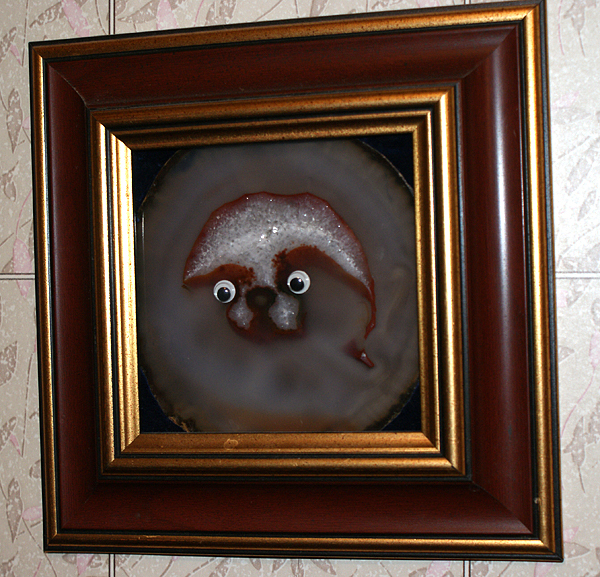 "Art" with minerals. M. Wikiera photo. Showcases in the museum. M. Wikiera photo. 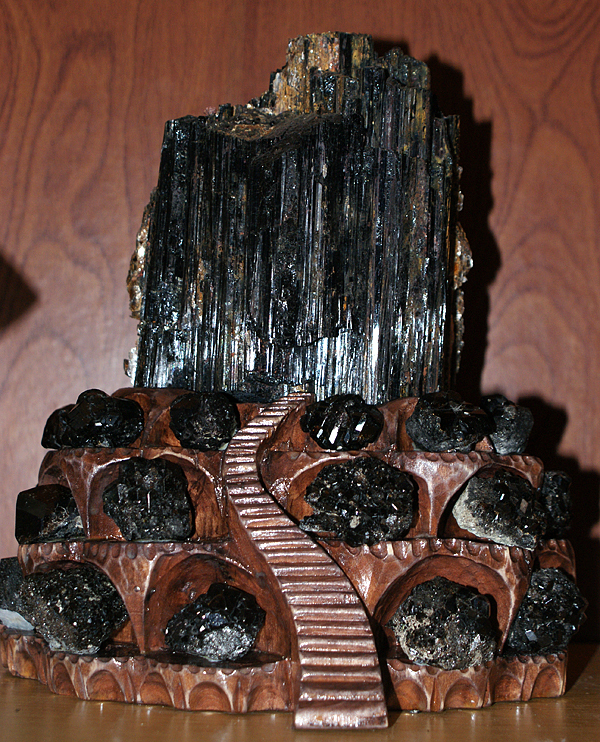 Sculpture with black tourmalines. M. Wikiera photo. 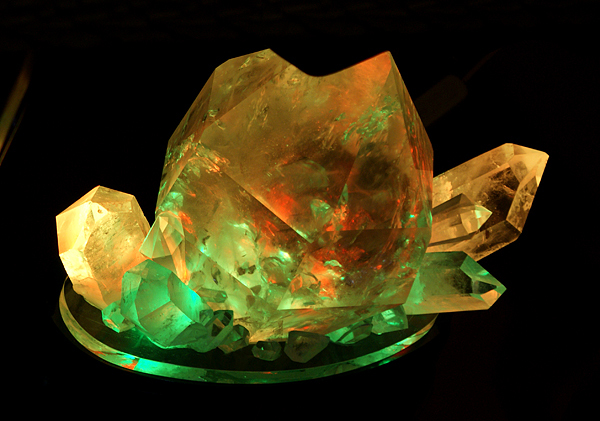 Mineral art :-) M. Wikiera photo. Probably the most valuable specimen in the museum :-) M. Wikiera photo. 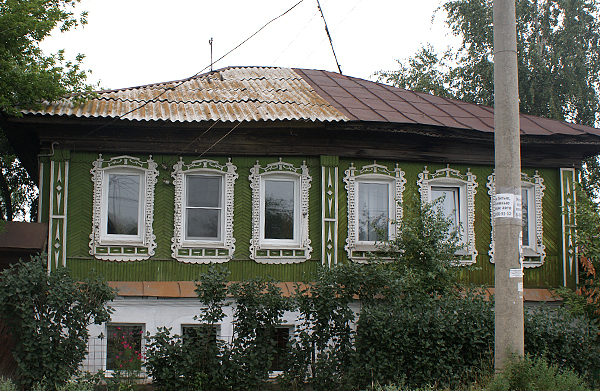 Old traditional house. M. Wikiera photo. 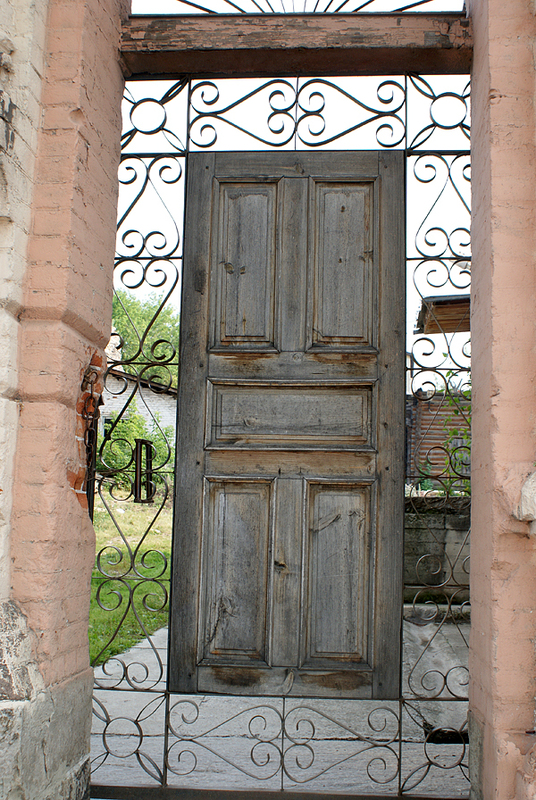 Entrance to the old house. M. Wikiera photo. 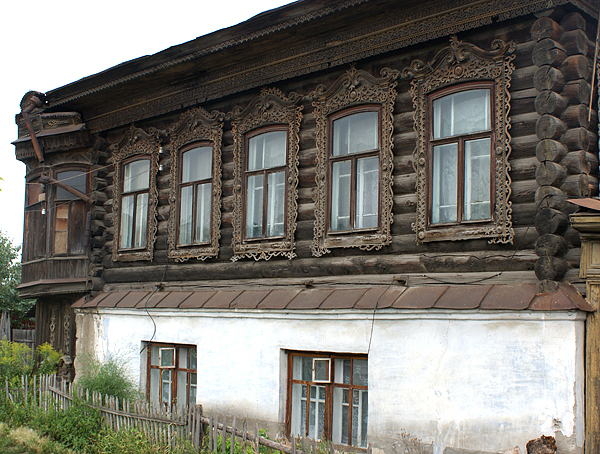 Old house. M. Wikiera photo. 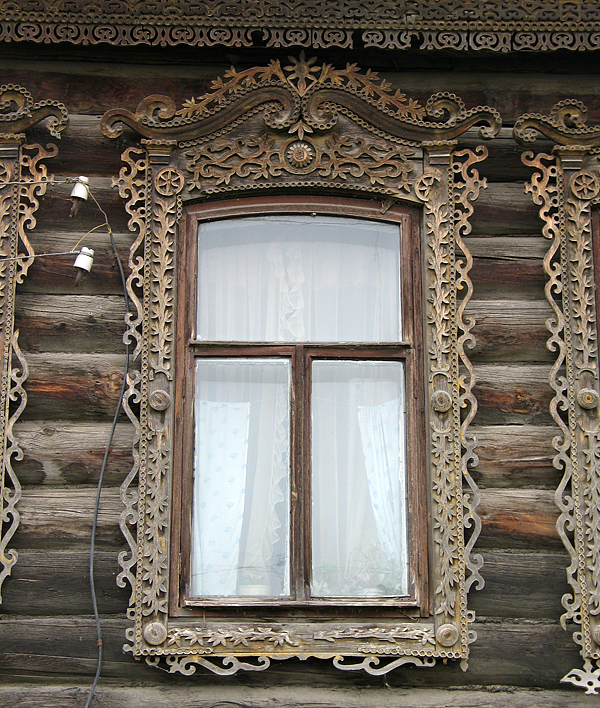 Beautiful sculptures around the window. K. Dembicz photo. 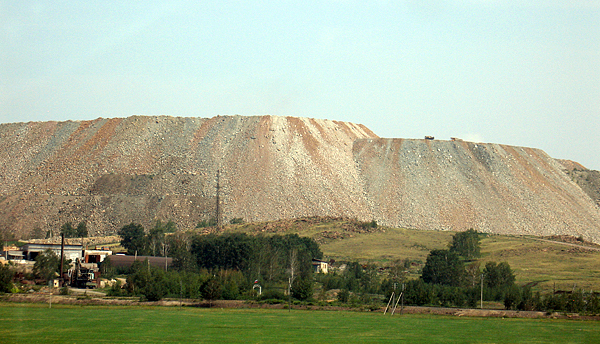 Quarry in Slyudorudnik. M. Wikiera photo. 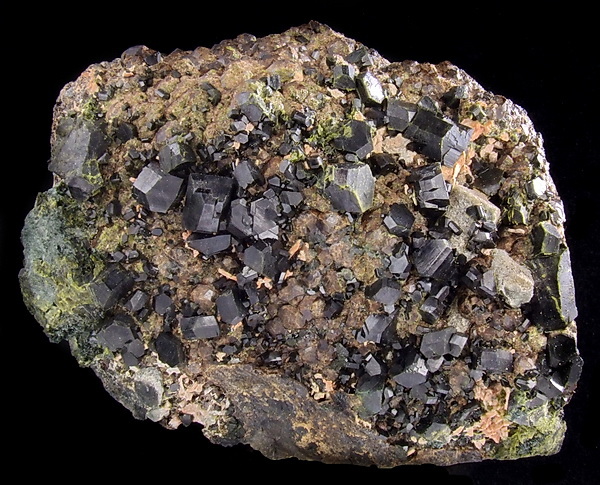 Big biotite collected in Slyudorudnik quarry. L. Modzelewski photo. Break for watermelon. M. Wikiera photo. We had quite an interesting adventure when we were leaving the town - we found a car in a ditch with a completely drunk driver. M. Wikiera photo. We decided to help him to put his car back on the road. M. Wikiera photo. It took a while but finally... M. Wikiera photo. ... we did it. M. Wikiera photo. We were afraid that the drunk driver will kill himself and his girlfriend so we put some stones in front of his wheels. He was so drunk that he did not manage to figure out what happened... when we drove the same road after a few hours the guy was in the dithc again. M. Wikiera photo.